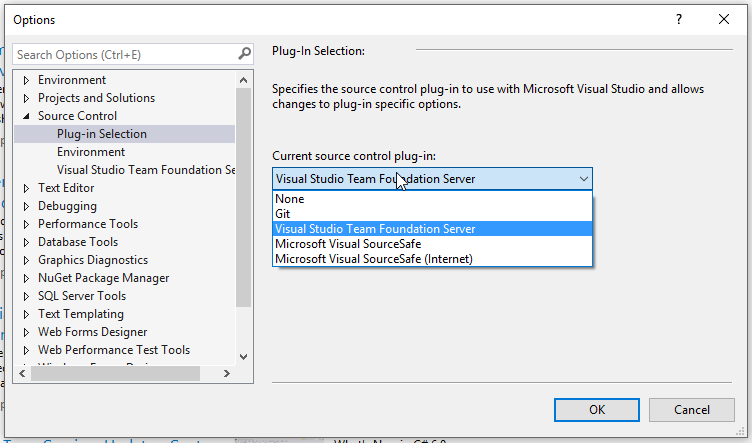 In Source Control > Plug-in Selection, if you change the Current source control plug-in dropdown from Git to Visual Studio Team Foundation Server, it will add the Source Control > Visual Studio Team Foundation Server section so you can configure User Tools. Not the answer you're looking for? Browse other questions tagged visual-studio-2015 beyondcompare4 or ask your own question. 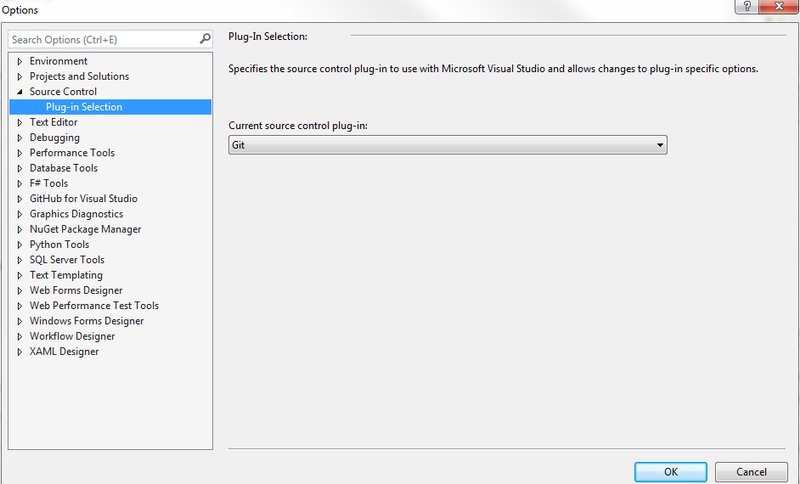 Where is my “Configure User Tools” button in Visual Studio Source Control options? How to use a different compare/merge tools for SLN files on Visual Studio using Git?